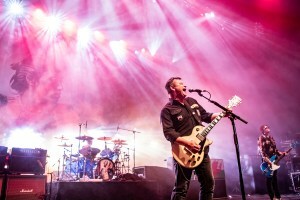 Manic Street Preachers are known for the strong imagery that forms part of who they are and this had an instant impact as they made their way into the Southbank Centre stage to a red-lit smoke filled backdrop of the unforgettable image from the cover of their latest album Resistance is Futile; one of the final photographic images of the last samurai, defeated yet defiant. The slogans which feature in their own headline shows weren’t there this time but with every song there’s a lyric which sings to you, punching you in the gut. From the frank and stark ‘what’s the point in always looking back when all you see is more and more junk’ of No Surface to the ‘you are pure you are snow, we are the useless sluts that they mould’ kicker from Little Baby Nothing, which was executed here with real attitude by The Anchoress (she also played the support spot with her band). Catherine (aka The Anchoress) stayed on stage for duet Dylan and Caitlin, adding another dimension to the new(ish) sound. 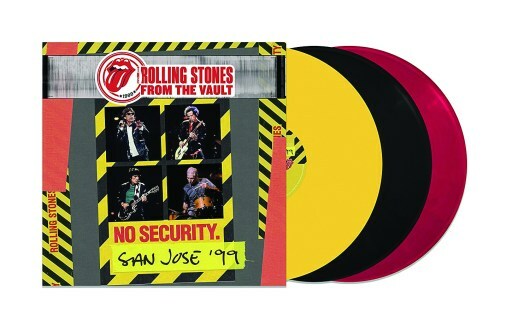 Played in the context of some serious protests around the forced separation of children from their parents on the Mexican border, If You Tolerate This carried extra weight and proved it’s just as relevant now as it was two decades ago. An important and powerful anthem which invoked many a tear among the audience in the ornate hall. The Manics’ love for The Cure shone through at several points during this one off gig – part of Cure frontman Robert Smith’s handpicked Meltdown gigs. From Nicky admitting he wanted to look like Robert Smith as a teen to James recounting a story about how they earmarked Mike Hedges as a producer in a bid to create the Faith sound (he was too busy to produce The Holy Bible but eventually joined them for Everything Must Go and This Is My Truth Tell Me Yours). But it was their brilliant cover of In Between Days which really earned them their place on this incredible bill. Close your eyes and the intro could’ve been The Cure themselves, with James’s vocals proving a remarkably brilliant fit for this 30+ year old song. 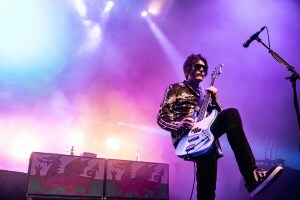 Fans adorned with the Manics fan uniform of cheap tarnished glitter, eyeliner and leopard print were delighted to see bassist Nicky Wire treading the boards again following the recent death of his mother. It wasn’t a given but it was certainly well received – an integral part of the band, the stage would’ve felt distinctly empty without his glamorous get up, signature scissor kicks and even his ever-improving vocals. He introduced Motown Junk with an ode to Heavenly, the label they released that powerful and popular single on before progressing onto Sony. 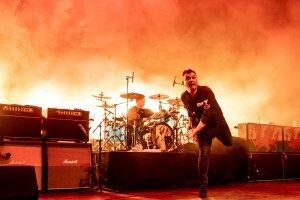 Frontman James Dean Bradfield is also a bit of a mover. Never one to stand in one spot, play guitar and sing, he too runs around the stage spinning and hopping but it’s the perfectly choreographed (though we’re sure it’s more of a happy accident) synchronised pogo-ing which really impressed. As with most gigs in recent years, drummer Sean and co. leave the stage for a brief interlude in which James goes all acoustic. 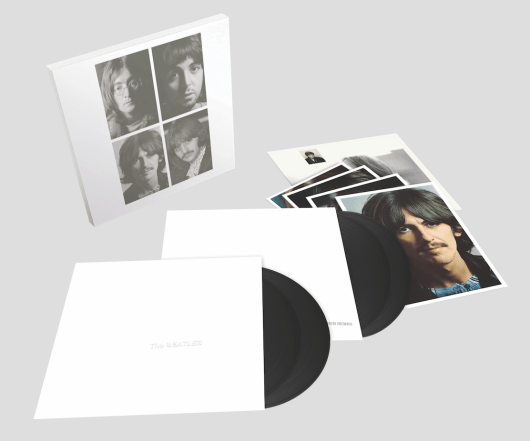 Often it’s the obvious choices – The Everlasting, This Is Yesterday etc. – but this time it was Faster, the song which saw them receive the most complaints following a TOTP performance when they donned balaclavas on stage. This version may’ve be unplugged but that didn’t mean that it had any less bite. Taking it in turns to sing the first few lines with the audience ‘I am an architect!’, James picked up the song himself from the chorus minus the odd forgotten word. It worked incredibly well, the lyrics almost speaking for themselves – a powerful slam poem, testament to the late Richey Manic’s lyrical genius. “Do you know where you are,” spat James when he was rejoined by his crew, “you’re with the Manic Street Preachers and you’re gonna learn how to live. 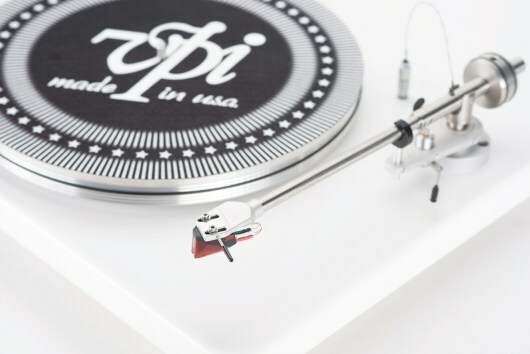 This is You Love Us.” A huge crowd pleaser. With the release of their latest album, Resistance is Futile, the Manics seem to unearthed a youthful energy. They’re not going through the motions like many bands from the 90s do but they bring something familiar, new and compelling to the table. While a handful of songs off the new album made an appearance – they opened with International Blue, aired new single Hold Me Like A Heaven and gave the singalong folk some more woahs to sing on People Give In) – this was very much a greatest hits set and a very well-received one at that. 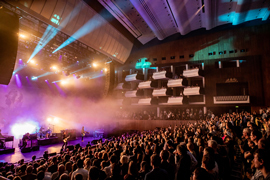 A seated gig at the Southbank Centre but one which saw about 90% of the crowd on its feet. Something encouraged by organisers. From audience fave You Stole The Sun, the beautifully melodic Motorcycle Emptiness and obligatory show stopper A Design For Life, the big tunes were there in abundance. This wasn’t the first gig the Manics have played this year and it’s not the last but it’s bound to prove a highlight of their 2018 calendar.